Pay increases have been sharpest in the lowest-paying sectors, with retail wages up 4.9 percent and restaurant wages up 3.9 percent over the last year. 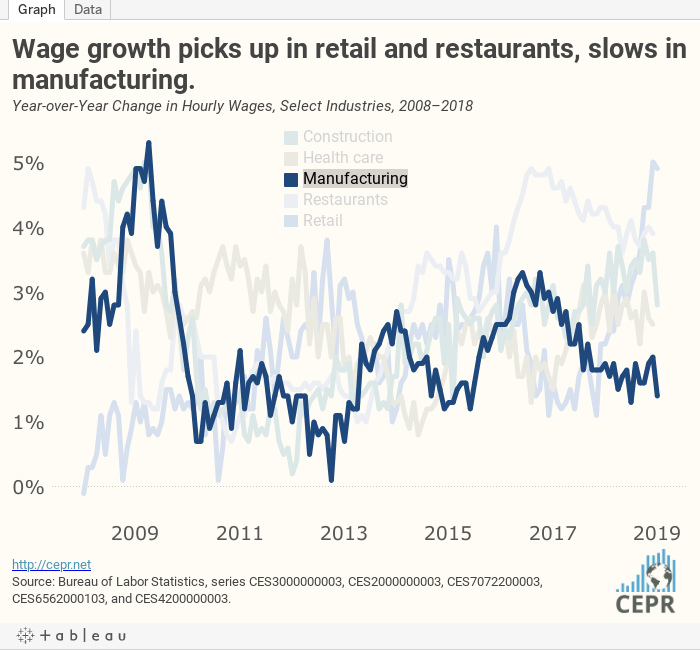 Manufacturing, by contrast, has seen very weak wage growth, with the average hourly wage up just 1.4 percent over the last year. For more, check out the latest Jobs Byte.